The National Working Committee (NWC) of the Peoples Democratic Party (PDP) has raised an alarm over an alleged fresh plot by the All Progress Congress-led Federal Government to set up its candidate in the February 16 presidential election, Alhaji Atiku Abubakar. In a statement signed by its spokesman, Kola Ologbondiyan on Thursday, the PDP said no amount of fabrication, veiled and open threats by the APC-led Federal Government can stop Abubakar from reclaiming his mandate at the Elections Petitions Tribunal. This is even as the party rejected the declaration by the Presidency that Atiku Abubakar is ‘lucky to be walking free’, adding that such a statement was inciting and ‘brings to the fore the unwholesome intention of the APC-led administration against Atiku Abubakar for seeking to retrieve his stolen mandate at the court’. The opposition party further stated that it was aware of the ‘series of orchestrations against Abubakar and the PDP by agents of the Federal Government, officials of the Presidency and the Buhari Media Organization (BMO). 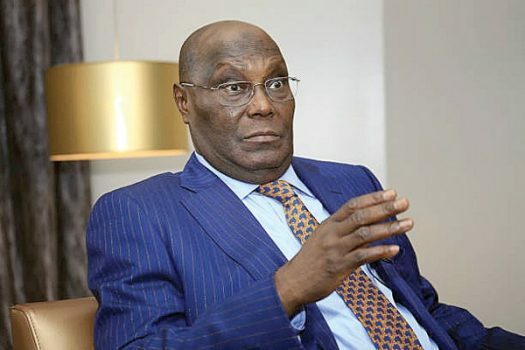 The statement continued: “This explains why agents of the APC-led government fabricated and pushed into the public space, bogus and laughable claims that Atiku Abubakar paid $30,000 to a US lobby group to assist in the quest to reclaim our mandate only for the Federal Government and the Presidency to turn around to feast on the fabrications with threats against Atiku Abubakar. “The PDP calls on Nigerians to take copious note of threats by the Presidency through the Special Assistant to President Muhammadu Buhari on Social Media, Lauretta Onochie, to jail Atiku Abubakar based on trumped up allegations while describing him as “one who is lucky to be walking free”.